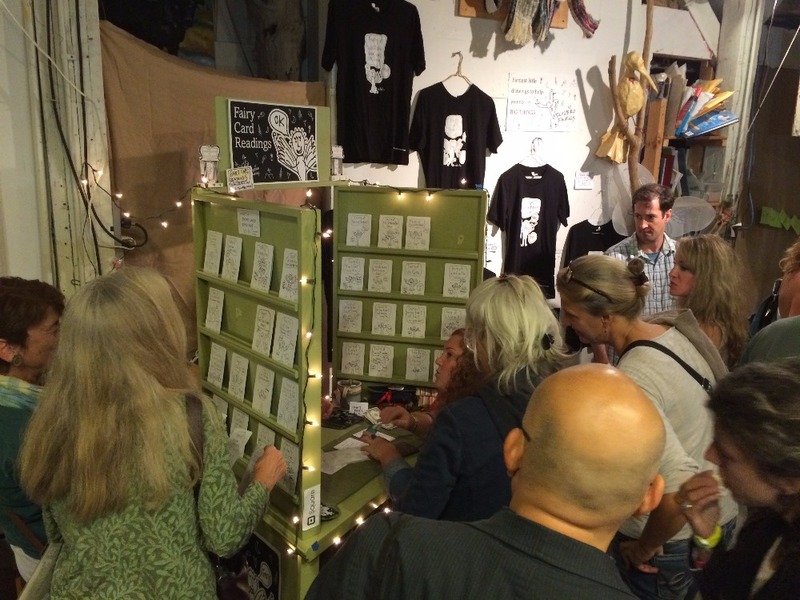 Fundraiser by Emily Anderson : Earnest Drawings Do BIG THINGS! Earnest Drawings Do BIG THINGS! I'm Emily Anderson; an artist and social worker who uplifts people’s lives with "Earnest little drawings that help people do BIG THINGS." Many of you know Bluebird Fairies is a fledgling company I've grown out of a set of hand drawn fairies created when I was changing my life. After two years of experiencing the personal benefits people receive when seeing these fairies I'm thinking one thing. Let's get them out of the nest and into the world! I'm creating a "Fairy of the Day" app. People will download it to their device and every day they'll pick a randomly selected fairy from a deck of 100 (yes, 37 new fairies will join the original 63!). Each virtual fairy will arrive with a description of its meaning and additional commentary on its significance. App owners will have monthly Fairy Card Readings too. Your support of this project with a modest donation will allow the power of positivity to spread throughout our country and the world in a time when it’s easy to get bogged down by what's not working. I've got some fun new gifts to pop in the mail to you as soon as you join this campaign (please check them out). The sales of this app as it spreads across the world will give Bluebird Fairies, another home grown Vermont product, a revenue source to support the work happening in our new studio; "Demon and Fairy Drawing" workshops, creating new artwork and conducting Fairy Card Readings. It will also support the life changing work I'm developing for women seeking to change their lives in Vermont Works for Women's "Step Up" courses and at the Women's Correctional Facility. 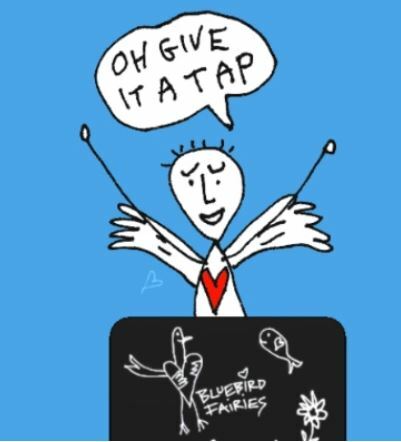 Donate generously, but know that even a small contribution will help me move Bluebird Fairies forward. Have you ever felt totally alone? My drawings of demons and fairies started 10 years ago when I was alone and trying to support myself as I moved through a very transitional phase in my life. Bluebird Fairies began 2 years ago when I had a "soft roll out" of my newly printed fairy cards at an arts festival in Burlington, Vermont. 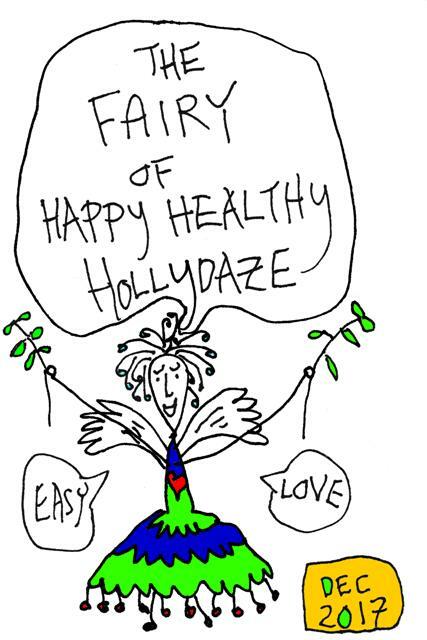 My goals at the festival were to see if I felt solid and happy sharing the story of how and why I make these fairies and if people would connect with them. I was amazed at how all kinds of people pulled in close to see the set of 63 fairies I'd hung up on the wall. People connected with their names, their interesting images and the uplifting things they uttered in their speech bubbles. It made sense to me. We all share similar questions inside and seek rays of inner sunshine to carry us through our lives which at many times, even in the course of one day, feel difficult. Over the 3 days of the festival I engaged people with the fairies. One way was with a box filled with numbers 1-63; one for each fairy. People reached in, picked a number and I'd find the correlating fairy. Again and again, the randomly selected fairy was "just the right one." One time I thought it didn't work. A little girl pulled a "43", "the Fairy of Vitamin D". I said to her. "Oh, I think the fairies are for older women." Her mother said "She's lactose intolerant and drinks goat milk from a farm. Her doctor says we need to get her vitamin D pills. This fairy is reminding us to go to the store. " A man walked in, he says he "caught the glow of the fairies in the back of the room and followed it." He picked a number and, of course, it was the perfect fairy. He said "You need a "Fairy of the Day" app! ". That man has been in my life ever since. He built me a Fairy Booth where for the past 2 years I've conducted hundreds of Fairy Card Readings. Easy, light-hearted, down to earth conversations based on 3 cards randomly selected from my fairy deck. "They don't predict the future" I say, "they allow people to embrace their present more positively so they can be intentional about their futures." I've been selling these fairy decks in colorful handmade bags. 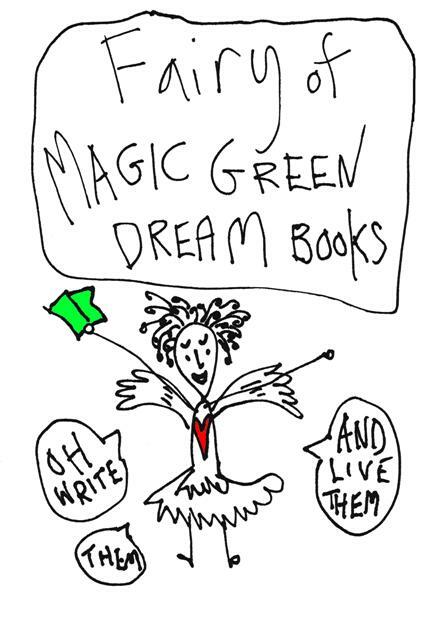 Daily I get updates from people creating their own rituals of picking a "Fairy of the Day." A friend at work says at some point each day "Oh, I haven't picked my Fairy!" and then I hear her remarking about how this fairy is connecting and supporting her with something good happening in her day. I began my professional life as a company member in The Bread and Puppet Theater of Glover, Vermont. There my natural talent for connecting with people was further developed organizing, creating, rehearsing and teaching shows to diverse groups of people in the U.S. and abroad. From 1996-2014 I founded and ran The Awareness Theater Company; comprised of adults with intellectual disabilities and autism that put their stories on stage providing audiences with clearer views into the lives of these very creative company members. For the past 12 years I've been developing and coordinating programming for high school students with disabilities to assist them in self determining their transition into adultdhood. 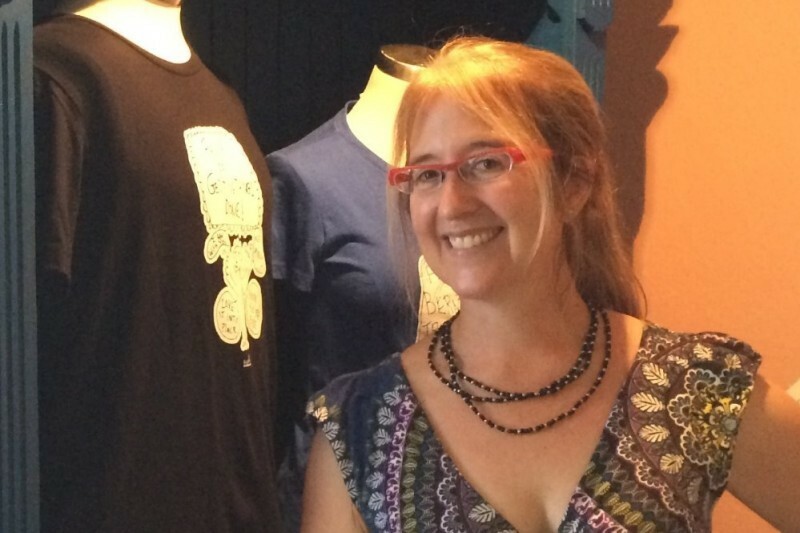 The premise of my work is "if you can connect with who you are, you can more effectively engage with others." Bluebird Fairies has grown out of this understanding. Please, also, share this campaign with your friends. Let's get these "earnest little drawings out into the world so they can help us do BIG THINGS. I'm so thankful for your support. TA DA! The 'Fairy of the Day' app is done, can be found in the smartphone stores and is beginning to achieve its goal of spreading waves of positivity throughout the world. 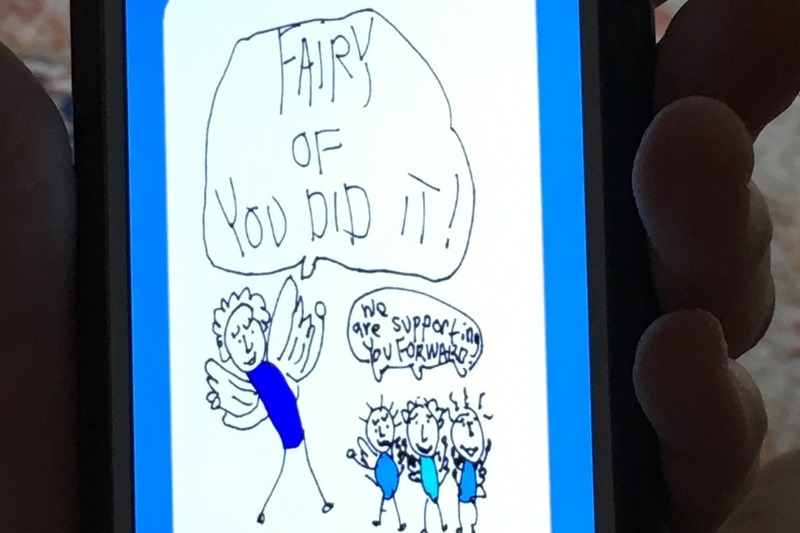 My Mother's android was the first phone the app was purchased on and the first hand-drawn fairy to arrive was 'The Fairy of You DID it' with its cheerleader fairies saying "We are Supporting You Forward." This has been an incredible year for Bluebird Fairies and you've each played your wonderful part in it. I have been sharing a prototype of the "Fairy of the Day" app with everyone I meet and we all LOVE it. After some final tuning, bells and whistles and learning how to set up shop in the world wide web the app will be officially launched. I will write each of you directly when that moment takes place. Until then, rest, enjoy and connect with life fully. Today I signed a contract with Ryan Huggins of Sundae Month; an artistic game-design collective composed of graduates of Champlain College. The work they do feels nicely aligned with the socially responsible values of Bluebird Fairies. I'm so excited this project is moving forward and the enthusiasm for it is great. Your contributions brought me through the early phases of this project. Your support is greatly valued and I'm hopeful you'll support Bluebird Fairies in our soon-to-be launched Activating the 'Fairy of the Day!' app campaign. There you'll learn more about how this project is developing. Hoping this update finds you all well. I'm having fun developing the creative material to accompany the 100 fairies that will be in the initial roll-out of the app. This includes text that will accompany each fairy and will be available IF people want more insight into their 'fairy of the day'. These short descriptions have developed through hundreds of fun conversations I've had with people in my Lucy van Pelt-esque fairy booth. 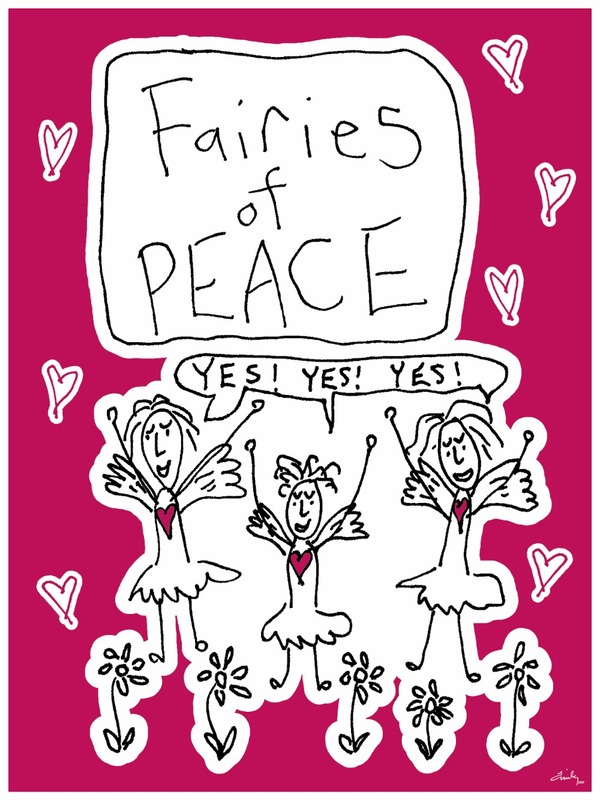 Daily I'm creating new fairies to join the original 63 fairies from the Bluebird Fairy Deck. I'll continue to keep you posted as thing develop. 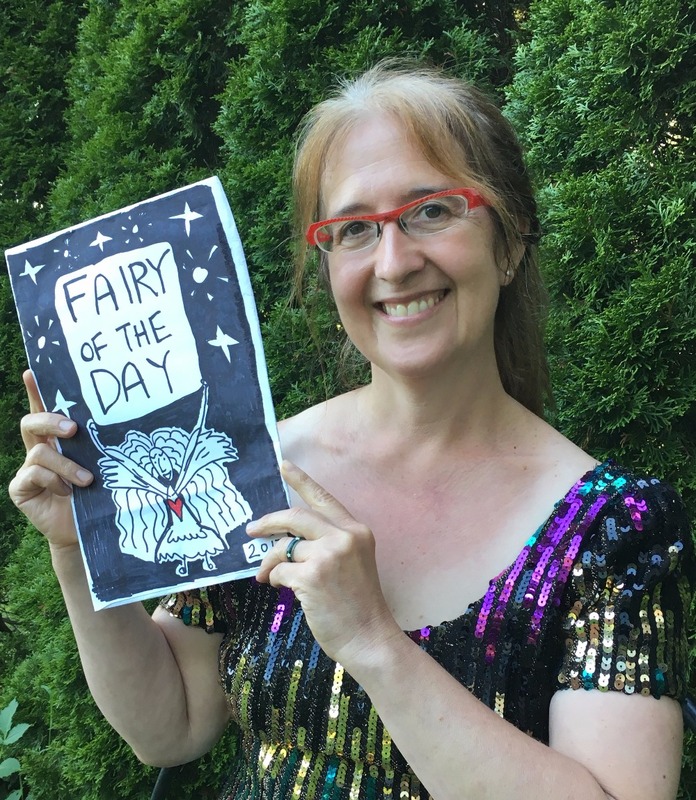 Lastly, if you've not seen it yet, please check out Seven Days writer, Rachel Elizabeth Jones' great article about my Fairy and Demon Drawing Workshops. Sending you lots of great energy! Emily that is wonderful!! So incredibly happy for you. You deserve all the best. For each $5 you donate you'll receive an earnest drawing that honors your participation. For every $10 you donate you'll receive an inspirational friend for life. For every $25 you'll receive a poster (there's 2 different ones) to hang where cheer and a reminder of the easy wonder of life is welcome. 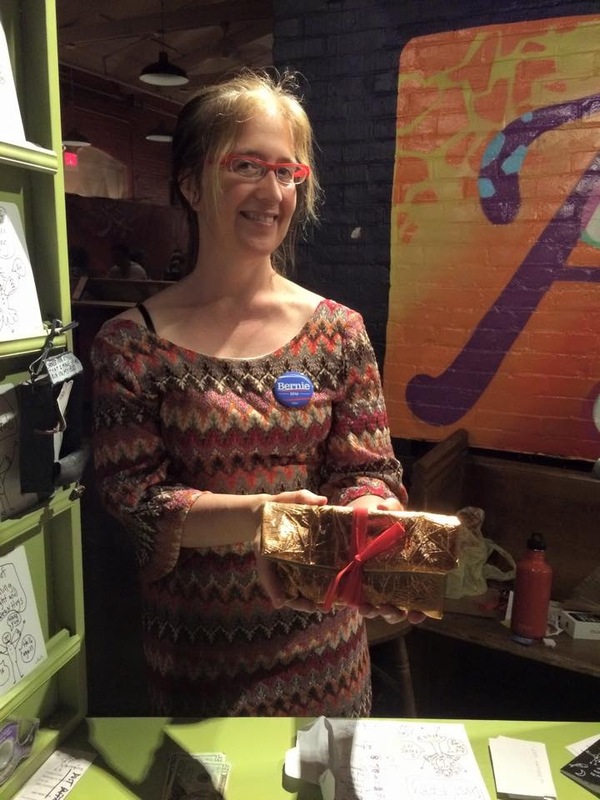 It brings us much joy to support your wonderful work Emily! We send you much love and wishes for good things ahead! Thank you for spreading the message of hope!